Not only is an office that’s cluttered one that’s unsightly, but it’s also not very safe. 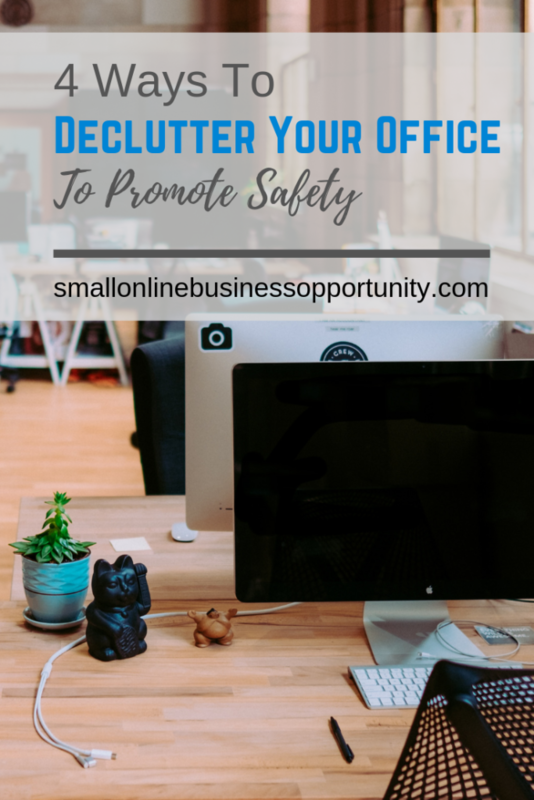 It can be easy to put off a lot when you have so many other things to take care of but making sure your office is decluttered will make you safer and a bit more productive. It’s never a pretty thing when you walk into an office and see masses of cords snaking all over the floor. It can also be quite unsafe as they can easily make someone trip and fall. You might consider running them across the floors and hiding them with those ugly black rubber strips, but that isn’t a very pretty solution. Why not invest in a great hideaway outlet or two that will allow you to have your cords where you need them and then when you don’t need the outlet, you can simply hide it away? This might do wonders when it comes to having cords safely stowed. Also, if you unplug those energy vampires like laptops and such when you aren’t using them, you can save on your electric bill. Closets are great for storing things, but it’s all too easy for them to end up as a catch-all for various things that don’t necessarily need to be in your office at all times. When it comes to achieving clear cut office spaces, cleaning out the closets can go a long way. The closets might be a clear-cut space for nothing, but coats and umbrellas as opposed to stuffed with so much detritus that when you open the door, stuff falls on you. That isn’t safe at all. Putting labels on your bins and shelves will assist you when it comes to remembering where everything goes once you’ve gotten it out. Make an inbox for new projects and incoming mail. You might also want to make an outbox for things you’re done with too. Additionally, you can label your drawers so that anyone coming into your office will immediately know where to find what they need, such as staplers, pens, etc. 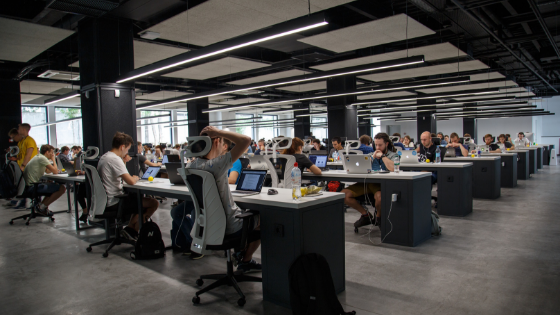 If you have an excess of office supplies or anything else, you might want to look into moving them out of the office so that they aren’t cluttering up the floor and other spaces and becoming a hazard. The very best way to reduce the clutter in your office is to straighten up the office area and your desk on a daily basis. Your office can’t become a cluttered-up mess if you take a maximum of 15 minutes each day to clean and straighten it up. It doesn’t take much for an office area to become hazardous to the safety of everyone who comes into it. Likewise, it doesn’t take much to get rid of the clutter to ensure that everyone is as safe as they possibly can be. I amafraid to say I am guilty of a messy desk. Honestly I should send you a picture of mine, it would make a great image for you to do a “how not to” guide. The biggest problem I have with my cables is that I need to be able to remove them or add new ones regularly.I checked out some of the solutions on mockett and I was wondering how easy they are to install? I must admit I do like a clutter free office area although that’s not to say that it didn’t get untidy it did. Last year we moved and downsized to a small home (so the kids can’t come back now they have moved out). This of course is a great way to declutter your office space and being that I have an even smaller space now I have to be even more tidy so your tips here will come in really handy thanks for sharing them. This is very good information especially for us work at home people that our office is usually sitting in the living room or some other high traffic location in the house. Cords are the enemy, aren’t they. All of our devices all over the place tripping you and in the way of the vacuuming. The hideaway outlet sounds awesome. Staying disciplined to clean up after yourself is by the biggest help for me. It really does help to keep your desk clear. Thanks for the awesome suggestions.